Sharda ispat Ltd. Sharda ispat Ltd.
do work with perfection ! Facts speak for Themselves ! It is our policy to provide such products to our customers that meet excellence quality and requirements. Automatic PLC Controlled Mill for close tolerance to cater Automobile, Bright Bar and Forging Industries. Alloy Steel Square Bars is a hot rolled, mild steel solid steel bar with radius corners is used in agricultural implements etc. 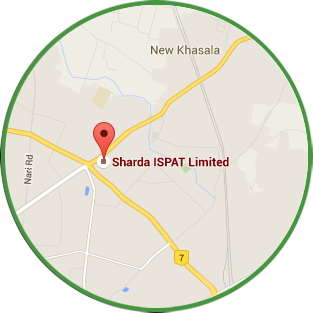 Sharda Ispat Ltd.(SIL) is situated in Nagpur, the Center of India. The Company was incorporated in 1960 with innovative thinking and passion towards delivering quality products to market. At Sharda Ispat Ltd., Kamptee road, we manufacture products like Flats, Rounds, RCS etc. For more than six decades SIL is supplying alloy, carbon & spring steel rolled products to various automobile OEM component manufacturer, as well forging & bright bar industries.The unit is fully automated and certified by TUV SUD for System certification ISO 9001:2008.